"It reminds me of summer," he says of the track. "It's got a relaxed but fun groove to it and that's the overall feeling of the album. Summer is about having fun and my music is about making you feel good. It's the antidote to to what you read in the news every day." However, Redfoo hasn't tossed out all his old tricks. Juicy Wiggle combines the classic shuffle with big hooks over a bluesy piano riff. Juicy Wiggle official video shows that Foo has not dispensed his inimitable visual style. Strip away all the glitz of a Redfoo track and you find solid pop that could have ruled radio in any era. It's an auspicious beginning to Redfoo's Where the Sun Goes. 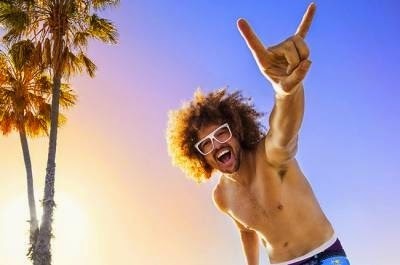 Redfoo is currently in the studio wrapping up the recording and production on the new album to be released on his label, Party Rock Records, this summer. His latest single Juicy Wiggle is available on iTunes now..!